The XARIELL atelier is located in Larnaca, Cyprus. The atelier includes the designer of the brand, and a strong team of specialists, each one an expert in their own field: from pattern makers to seamstresses. When a top notch fashion designer meets a bespoke web design agency, magic happens! We both fell in love with each other’s work and that is plain to see from the result! 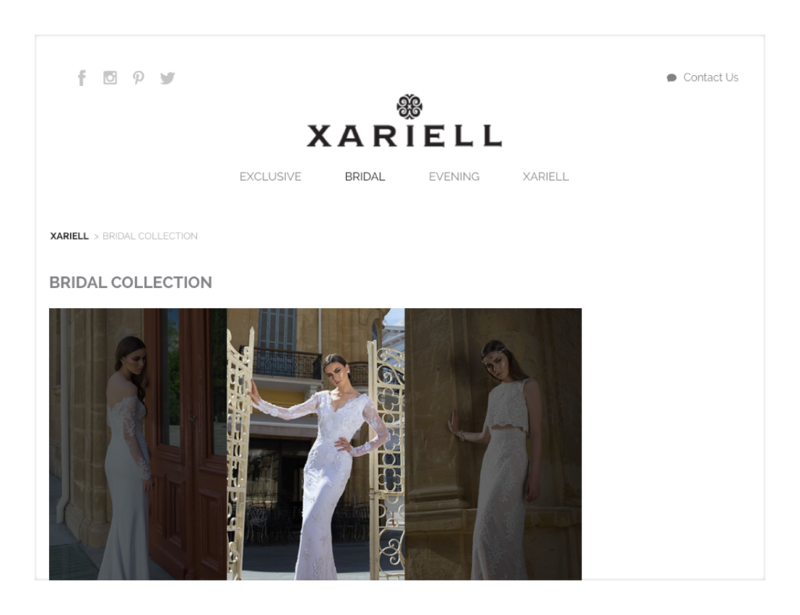 The goal was to create a simple and intuitive website that made justice as well as emphasised Xariell’s bespoke designs. Thank you gals for your trust and accept our warmest wishes for further success.